Too Few Visits ... Too Many Visits? AS CHIROPRACTIC DOCTORS, WE ARE CHARGED WITH THE RESPONSIBILITY of not only relieving the suffering and pain of our patients, but getting to the real root and cause of their underlying problems. In a chiropractic case these problems are usually called "vertebral subluxation complexes" (VSC). The VSC is the most widely misunderstood cause of human health problems. People are diagnosed with many other diseases medically that are actually being caused by chronic nerve irritation cause by VSC. Many research articles of the last twenty years have brought to light the long term damaging effects of chronic nerve irritation caused by degenerative spinal disease, which in chiropractic we refer to as "subluxation degeneration." Subluxation degeneration is a long-term side effect or eventual effect of the VSC. The longer a subluxation complex is left unattended and untreated, the further damaged the spinal bones and joints become. As this degeneration advances, so does the inflammation and eventual compromise of the potential spaces the nerves exit through the spine. Not only are the actual physical spaces compromised, but neurochemical toxins are excreted by inflamed areas and cause chronic nerve irritation and inflammation. There is no drug or surgery that can correct a VSC. Chiropractic or spinal adjustments are the only way to manage and possibly correct them permanently. When we work up a case in our office when a new patient comes in, we make estimates of care based on correction of the VSC, while at the same time eliminating the present level of pain the patient may have come to us for. Doctors know at the outset of care that symptoms will most likely be controlled within the first 30 to 60 days of treatment. Many conditions are brought under symptomatic relief well before that. This leaves to the mind of the uneducated chiropractic patient the idea that their condition is actually well or fully stabilized. Most of the time this is far from the truth. Chiropractic research has shown that the vertebral subluxation complex takes months or even years to fully bring under control, even though the symptoms may be alleviated within a 30 to 60 day period of time. Many of our patients receive an initial treatment program that may number between two to four dozen initial visits followed by palliative (pain controlling) or periodic wellness visits to keep the VSC under control, after the initial pain relief and spinal stability have been reached. Patients who want only short-term relief may elect to receive only the first dozen or so visits to achieve that goal. By stopping short of recommended care, they set themselves up for a "yo-yo" effect of flare-ups in the future because their symptoms will continue to come back as long as the VSC is unstabilized. By receiving regular chiropractic care once full stability is reached, the probability of flare up becomes minimal. The average day in-between regular "tune-up visits" becomes much more controlled, stable, and tolerable. Although we cannot undo much of the damage caused by long-term subluxation degeneration, we can certainly keep its effects from bothering us on as frequent a basis as it was prior to treatment. As one of my mentors in chiropractic taught me some 17 years ago: "The diamonds and gems of chiropractic treatment come only after you have dug a lot of low-grade ore." Getting to the root of a chronic VSC requires time, discipline, exercise, regularly spaced visits, and a dedicated patient and doctor. That is why not all patients achieve the maximum level of health that is possible. Many do not stay under care long enough to reach the long-term benefits that chiropractic can provide. Maybe only one or two patients out of ten get to this level of health. We do not get all patients well in our office, nor do we promise to do so. 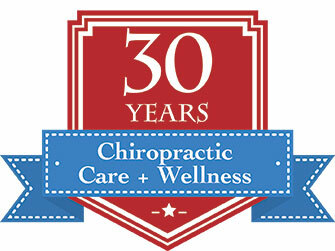 We promise that if we accept your case for chiropractic care, and you follow our recommendations, that we get 85 to 95% of our patients well or better within a reasonable period of time, usually under three to four months. Although it may take many months or longer to bring full stability to a case, the initial relief that the patient can enjoy usually comes within the first three to four month period of time. So look back at your "report of findings" packet at the care we have recommended and the follow up care advised, and see how much of it you have followed. Are you receiving the amount of chiropractic care you really need? Is your condition stabilized now or have you been "putting off" regular care? With four doctors here to serve you six days a week, there is rarely a time when we cannot accommodate you for a drop-in visit. So if you are driving up or down Hill Avenue, or traveling North or South on the 210 freeway in Pasadena by the Hill Avenue off-ramp and think of us, try stopping in. chances are, you won't have to wait very long before receiving a relieving chiropractic adjustment. Remember that the number of visits your doctor has recommended is an estimate base on past research and chiropractic empirical evidence over the last 103 years. We certainly cannot give an exact visit number when you begin care, of the ideal frequency that you need long-term, but we know from cases over many years, numbering 4,000 in our office to date, that most likely you will fit somewhere within our estimates. Feel confident in the fact that what we recommend is for your best interest, and that your following through with care will give you the best long-term and short-term results.